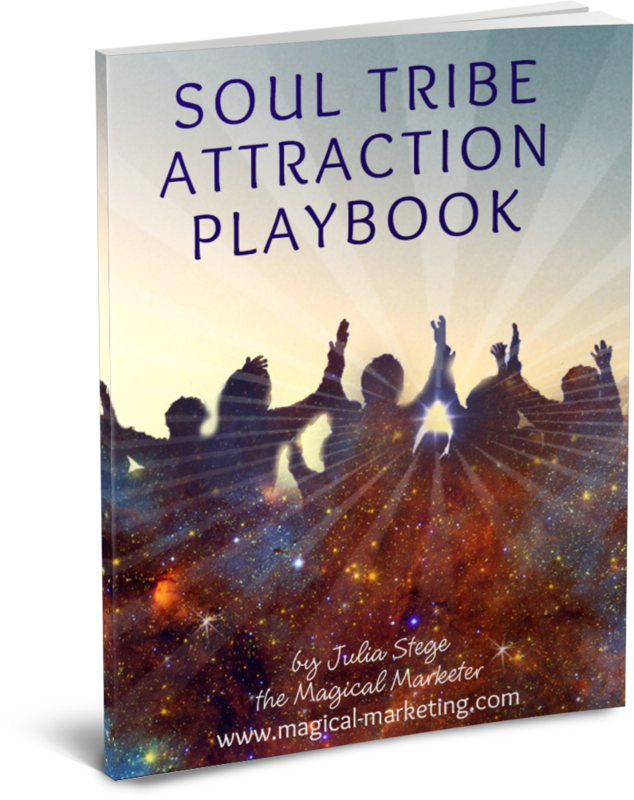 Get my 5-minute magical playbook to attract your Soul Tribe now! Are you seeking an alternative to dishonest marketing strategies? Do you want to transform people’s lives through your offerings AND your website? If you started your business or organization to make a difference and follow your Soul’s purpose, you don’t want to use marketing strategies that are about brainwashing, hyping or lying to people. And I promise you don’t have to. Welcome to a New Paradigm for Marketing designed for purpose driven and spiritually inspired entrepreneurs. My name is Julia Stege, the Magical Marketer, and I created a new paradigm for marketing that is authentic, comes from the heart, attracts just the right people (your Soul Tribe) and inspires them to make a significant connection with you. Finally you can have a brand and website with Soul! For over 20 years we have helped spiritual business women and conscious entrepreneurs to authentically attract their tribe online through stunning brands, wildly attractive websites, and magical marketing techniques. We are a full-service marketing firm who really understands YOU and YOUR NEEDS. We welcome the opportunity to help you express your purpose through branding and websites that attract your Soul Tribe and inspire real connection online. To get started with this new paradigm for marketing, download my Magical Marketing Toolkit and start creating your Attraction Plan. Includes your Soul Tribe Attraction Playbook and short video training to get you started becoming an irresistible magnet to your perfect customers. 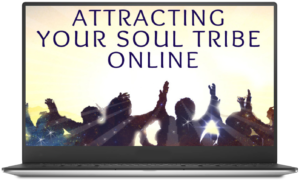 We regularly sponsor live Magical Marketing Webinars where we go into why marketing the “normal” way doesn’t work for heart-inspired entrepreneurs, and how you can begin to attract your true Soul Tribe online just by being your authentic self. Julia opens her calendar a few times each month for special Complimentary Magical Strategy Sessions with her tribe. During this session, Julia will review your branding and marketing challenges, in addition to what you’re already doing right, and come up with a plan that will bring your message to the world and attract your true Soul Tribe online…authentically! Julia, your training was beautiful. I knew Julia was the person I was supposed to work with. I LOVE my Magical Marketing Brand and Website! I Love My Logo and Tagline! Julia Stege is truly The Magical Marketer! No one in the business knows their clients the way Julia does. But that’s not the Magical part. The magic comes in her instructions and private sessions. Julia has the power to dig things out of you that surprise you more than her! She has an other-worldly laser-sharp vision of where you’re going that, once she says it, you yell “That’s it!” Then you wonder how she knew and you didn’t. Her 30 minutes took me further than my last 18 months. I am so excited that she is designing my website now. Can’t wait to experience it. I need to find her a magic wand. I’m attracting hundreds of new visitors to my site and got 6 new clients the first month! “When I came to Julia, my existing website needed more than just a “facelift”, I needed someone who could help me clearly reflect my personality and passion for my work through my brand and website. Through her unique website development process, Julia helped me capture just the right tone, look and feel to speak authentically and attract my tribe. I am so happy my new website is now a “stand out” among the sea of other ho-hum sites on the web. Working with Julia to create my Grown-up Website was absolutely magical. Julia, and the system she has created works. “In my experience, showing up as a heart-centered entrepreneur takes the willingness to move through many layers of how fully I let myself to be seen. 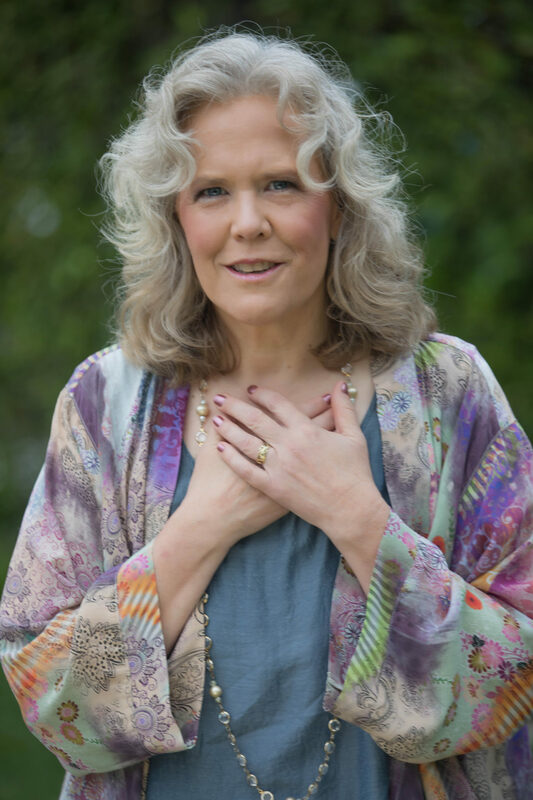 Julia not only creates a safe place to explore the question of who you are, she provides real tools that help go deeper in that exploration, and find the specific words, messaging and imaging that puts it out there for the world to see. Julia is a dyn-o-mite speaker! Julia Stege’s presentation on Branding Basics for Conscious Entrepreneurs was Dyn-o-mite! Her style is friendly, natural, humorous and informative. She quickly identified with our audience and provided them with a new paradigm for marketing that is authentic and creative. She took a room full of marketing-resistant entrepreneurs and gave them hope that marketing can be fun, fulfilling and sustainable! I highly recommend Julia as a speaker for any event where out-of-the-box entrepreneurs desire to learn a new approach to branding from the heart.